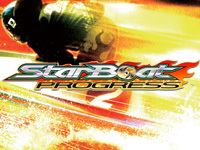 StarBoat Progress, the sequel of StarBoat released in November 2011, will be available tomorrow. The game has be improved. 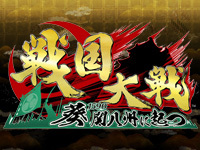 There are new courses: "Championship of the sea", "Art League",... New competitors have also added some of them are women. 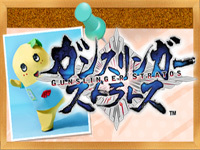 Players can also race against new characters of Monkey Turn, Katsutoshi Kawai's manga. The website starboat.net allows players to wil cards of real racers, get quests to perform according to the schedule of actual boat races and get unique items. During EVO 2013, Capcom announced a new version of Super Street Fighter IV - Arcade Edition for next year. 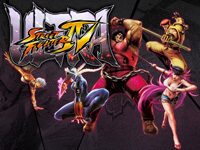 Capcom promises a whole new game, hence a new name: Ultra Street Fighter IV. The main new feature is the 5 new characters. Four have already been unveiled: Poison, Hugo, Elena and Rolento and the fifth one will be a character never seen in a Street Fighter game. The game will be rebalanced thanks to feedback from players around the world including pro gamers. The development team worked on decreasing the gap between the higher and the lower characters. They also announced new combos and new features. 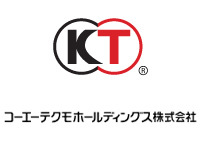 Ultra Street Fighter IV will be on location test this Summer and will be distributed via NESiCAxLive. 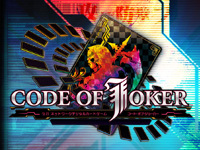 Announced at the JAEPO in February, Sega's Code of Joker is available in Japanese arcades since yesterday. Just like in Square Enix's Lord of Vermilion, the player fights through trading cards. The game is played in turns, the player alternates attacking phases and defence phases. He can use different type of units such as warrior, monster, genius, devil, angel, machine, hero... "Trigger" and "Intercept" card with various effects can be used at certain times. The 7 game characters (Jin, Ayaka, Kouhei, Navy, Gunji, Saya and Tokiyo) have respectively a Joker card from the tarot (death, justice, star, magician, chariot, moon and emperor). These cards have a special effect each such as inflicting damage to all enemy units, regain control from the opponent, randomly destroy two enemy units, ... 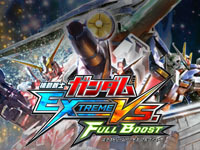 The game is played 1vs1, and the match can be local or online. Code of Joker's opening was directed by the famous Production I.G studio (Ghost in the Shell, xxxHolic, Robotics;Note...). Players can register at COJ-AgentLabo to access deck edition and statistics via internet. 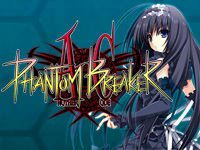 Code of Joker runs on RingEdge 2.
maimai's sequel is out today. maimai is a music game released by Sega last year. 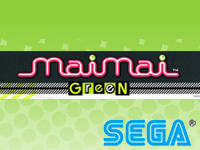 maimai GreeN adds some many new features to the previous title. Musically, maimai GreeN features new Vocaloid songs, anime songs (Bakemonogatari, Naruto, Tales of the Abyss, Fullmetal Alchemist, Neon Genesis Evangelion,...), video game themes (Puyo Puyo, Phantasy Star, Sakura Wars, Shining Force Cross Elysion,...), J-POP and songs from Touhou Project. The multiplayer mode has been enhanced: there are now advantages to play with friends. A points system named "maimile" allows players to purchase items and music. 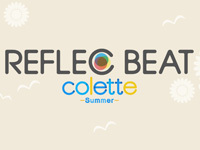 New items will be added and events will take place every month.